French New Wave star Bernadette Lafont passed away July 25th. Lisa Nesselson writes about this bold, amazing actress. After giving my Official Outguess Ebert guesses in announcing my annual Oscar winners contest, a few weeks later--with my ear to the ground--I made some revisions: "Silver Linings Playbook" for Best Picture and Emmanuelle Riva for "Best Actress," in "Amour." My official Outguesses must remain unchanged. My revised predictions don't count. Fair's fair. An apology. Some readers found it impossible to enter, because of problems with the link. It took them to a registration form for the Sun-Times web site, and you must be registered to enter. This, and only this, is the correct page for my Guesses. It links to our registration page. They expected to see a ballot. Here's a link to my review of "Amour." I gave it four stars, and listed it as one of the year's ten Best. Holding an Outguess contest about it may strike some as a trifle silly. Unless you win the Delta Vacaions trip for two for Marvel's "Iron Man 3." And here is my review of The Weinstein Company's "Silver Linings Playbook." In announcing my annual Outguess Ebert contest, I used a cocky headline: Outguess Ebert? I may have them all right, I followed by writing: "This year's Outguess Ebert contest seems a little like shooting fish in a barrel. For the first time in many a year, maybe ever, I think I've guessed every one correctly." The Oscars are the most important way the American film industry can honor what it considers the year's best work. But for millions of movie lovers all over the globes, they are something else: A show. 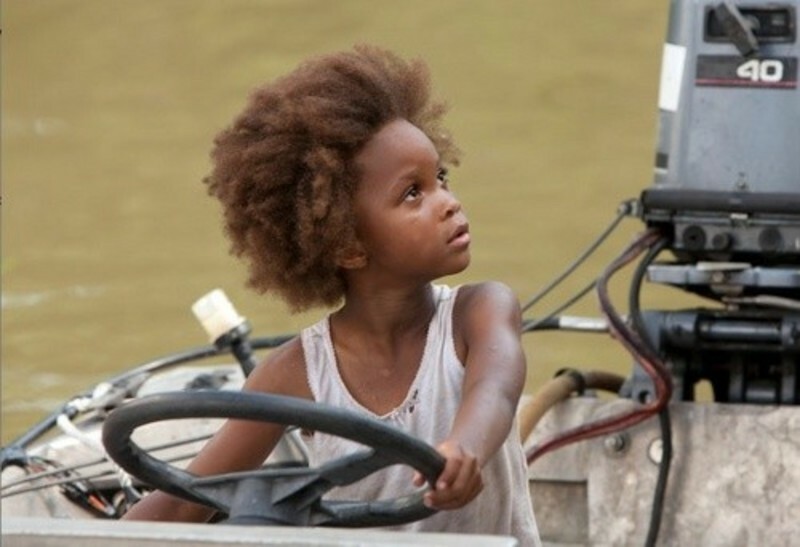 That's why I suspected last June that Quvenzhané Wallis might win a nomination. The pride of Hounduras Elementary School in Houma, LA, has now become, at nine, the youngest nominee in history for Best Actress. Her story is even better: She was five when she auditioned for the role, and six when she performed it. National Society of Film Critics falls for "Amour"
Michael Haneke's "Amour," which won the Palme d'Or last May at Cannes, was voted Saturday the best film of 2012 by the prestigious National Society of Film Critics. The award, coming on the eve of voting for the 2013 Academy Awards, confirms "Amour" as a Best Foreign Film frontrunner. Other NSFC winners will also draw welcome attention. The Toronto Film Festival is universally considered the opening of Academy Awards season, and the weary moviegoer, drained after a summer of exhausted superheroes and franchises, plunges in it with joy. I've been attending since 1977, and have watched it grow from a bootstrap operation, with the schedule improvised from day to day, into one of the big four (with Cannes, Venice and Berlin). 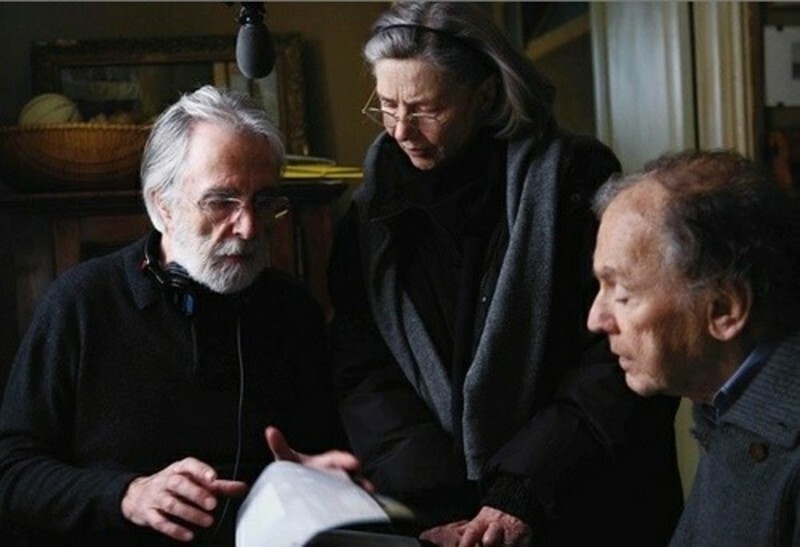 The Cannes 2012 Palme D'Or was indeed won Sunday by Michael Haneke for "Amour," the best film in the festival. And what an emotional moment to see its two stars, Jean-Louis Trintignant and Emmanuel Riva walk up on stage with Haneke to accept the award. A juror, Jean-Paul Gaultier said they gave the most emotionally real performances of any film in the festival. He said he bawled his eyes out. This was the second time in three years that Hakeke won the Palme, after "The White Ribbon" in 2009. And surprisingly, three out of four of my award speculations also won prizes. However, if you listened carefully to the reasoning of the Jury you can conclude that actually all four of the lineup would have won. Who will win the Palme d'Or? Who will win the Palme D'Or? I expect top prizes for Michael Haneke for his film, "Amour," with Jean-Louis Trintignant and Emmanuelle Riva, but I am terrible at the awards-guessing game. I think "Amour" is one of the very best films in the festival with its harrowing portrait of the mental and physical deterioration of an esteemed piano teacher after a series of strokes, and the husband who must bear witness to this as he takes cares of her. Haneke's film is so mature and well done that its emotional impact builds quietly, from the core. You marvel at how he layers the scenes of a marriage so naturally that you know the couple has been together for decades in a relationship that is comfortable and emotionally enriching. And so when they make their choices you are right there with them emotionally until the bitter end, and there is no judgment about the choices made.